Hi y’all! We just returned from a super trip down south to visit Andrew’s dear aunt Cheryl. Needless to say we had a BLAST and loved every blessed second we spent with her (and the beach of course). While we were away I was cooking up new creative ideas for the holidays. 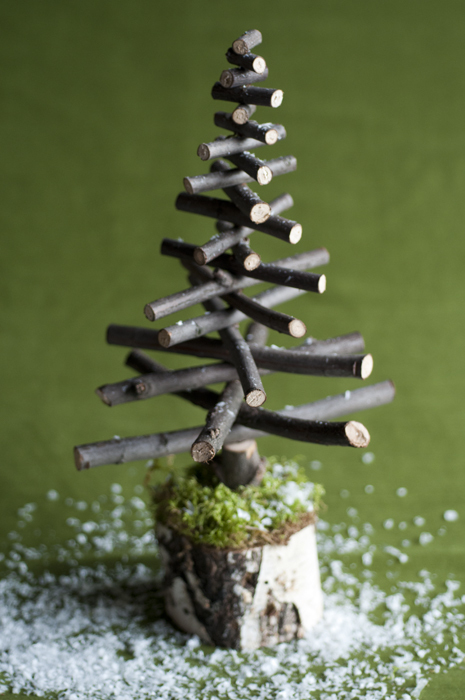 However, before we traveled south, I concocted a Twiggy Christmas Tree. Here in the northeast, we’ve been having the strangest weather; hurricanes, tons of rain and how could we forget ‘Snowtober’! As a result, Mother Nature provided some beautiful craft materials in the way of limbs, limbs, and more limbs! 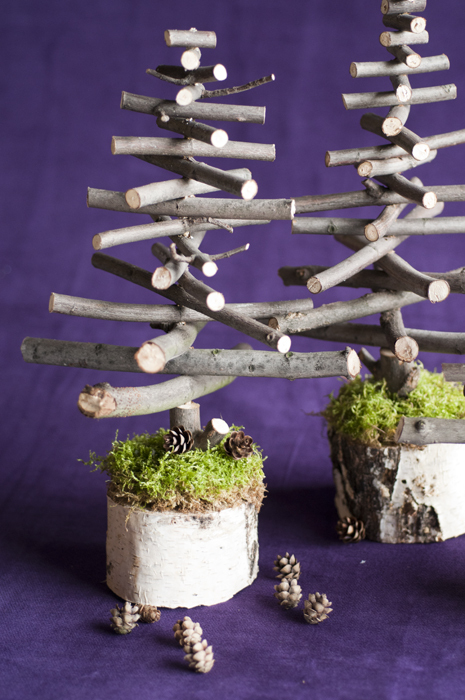 Cut the limbs in various lengths so you can layer them to create the tree’s shape -think triangle. Cut the base for the tree. Using a drill bit to accommodate the 16 gauge floral stem wire, drill a hole in the middle of the twigs. Drill a hole in the base and insert the floral wire into that hole. A little dab of glue will keep the wire in place. Starting with the largest twig, place a dab of glue into the drilled hole and slide the twig onto the wire — repeat with the remaining twigs. Snip off the excess wire at the top of the tree. Optional, finish off the base with moss. 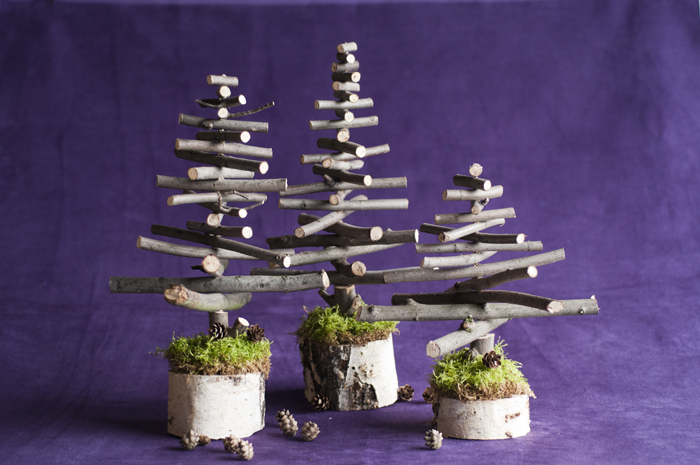 This entry was posted in Christmas, Crafts, Holidays, Uncategorized and tagged christmas, crafts, design, DIY. Bookmark the permalink. Another hit Mark. So cute and very smart of you to take advantage of Natural Disasters! 🙂 Twig on! Not sure I could duplicate the process given the instructions, but very clever nonetheless! The trees are so cute and your instructions made my day. I am laughing hysterically. Hi Mark , Welcome back , Good to see you’re branching out. Super cute! Such a neat idea. When I saw the wire, I thought you would be wrapping it around, but this works so much better!